If you are reading this blog, chances are that you may be part of a small- or mid-sized company that is not based in the U.S., and that you have contractual dealings with a large party– perhaps the United States Government (USG) or a large contractor– that is based in the United States. If you run into a dispute with that large party, you may feel a bit, well… bullied, like the days of being a young child in the school play yard. Even if the U.S.-based bully does not insult you or your family, or take your lunch money (or your soccer ball), you still may feel the bully is pushing you around. For example, the USG or U.S.- based contractor may seem to be taking advantage of you based on its larger size and financial strength, its knowledge of U.S. laws and protocols, and so on. 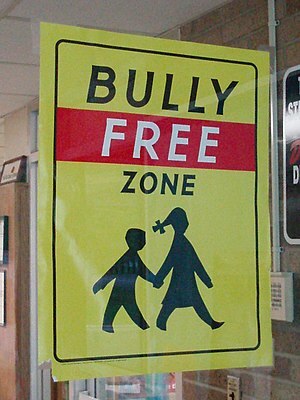 However, much of a bully’s behavior is based on what you believe, as compared to the reality of the situation. In reality, you are stronger than you may think. There are several factors that can give you leverage against a U.S.-based bully, and equality on the international playground. Laws and legal rights that are available based on the language in your contract, and/or based on laws of the U.S. Federal Government or States. A lawyer you hire to show the bully you are in a position of knowledge of your legal rights and the ability to pursue them. The value of your goods, services and work, and the fact that treating you fairly (once you stand up for your legal rights) is in the best long-term interest of the USG or U.S.-based contractor interacting with you. If you are dealing with a U.S.-based bully, its unfair conduct and even corruption can often be effectively addressed, even if this may not have been your experience with other companies or governments outside the United States. If you want to know more about your contractor’s rights relating to a USG project, please feel free to contact us.